Alison Can Read: 2013 Printz Awards: No TFIOS? **I'm sorry I haven't been commenting much lately. I'm currently in Oklahoma for my Granny's funeral. And I'm also only 3 weeks out from the bar exam (EEEK!!!). I'm super busy studying. I should be back to normal in March. The 2013 Printz Awards were announced last week. Have any of you heard of this book? As a blogger, I thought I'd heard of everything. Are you surprised that The Fault in Our Stars by John Green neither won nor received an honor award? I was definitely surprised. I'm not disputing that In Darkness deserved to win. I haven't read it or heard anything about it, but I'm sure it's excellent. I am thrilled that Code Name Verity received an honor. It certainly was one of the most incredible books I read last year. Why not TFIOS though? It was touching, erudite, quotable, well-plotted, and so much more. 1) The awards committee didn't like it as much as the five winners. Boring explanation, but certainly possible. 2) John Green has already won the Printz Award once and been an honor winner another time. Perhaps they wanted to give another author a chance. A few authors have received the honor award twice, but John is the only one who has both won the award and received an honor award. 3) The book is uber-popular. The Printz gives a good book exposure it may not otherwise have. 4) Over-hyped? I wonder if the committee consciously or unconsciously didn't want to join the chorus. What book(s) do you think should have won the 2013 Printz Award? Oh hon, I am so sorry for your loss!! And no, I haven't read this book even though I saw the cover around a few times.. still, I cannot even remember reading a review.. I have only heard of Code Name Verity but I haven't yet read it, even though I borrowed it, and ended up having to return it to the library without finishing it. I'll definitely come back for it though. I was definitely surprised TFiOS wasn't on it at all. I think it may have something to do with the massive fan-base the book and John already had, plus like you said, he was already a Printz recipient twice. They may want to give exposure to otherwise unknown books but I mean, Terry Pratchett is a pretty popular author. I am so sorry for your loss, Alison. It's never easy. Huh, I haven't heard of that book, either. Guess that means I'll need to check it out. And good luck on the bar! Study, study, study! :-( Sorry to hear about your gran and my best wishes to you and your family. And the bar exam - good luck - sending good vibes your way!!! And I've seen the grumbling about TFIOS not winning, but the thing with the bookiesphere - books with more marketing budgets well established authors get promoted more. I am so sorry about your loss and Good luck on the Test ;) No clue on why it wasn't picked . I'm sorry for your loss. It's always a hard thing. Good Luck on the Bar! You're going to do amazing. I was also a bit surprised with the winner. Since I had never heard of it before when it was announced and I immediately went to my library to check it out. I'll let you know what I think when I finish it. I know what you mean, I was surprised but as you say, John Green has won it before. I'm so sorry about your Granny. :-( Wishing you lots of luck on your exam! So sorry to hear about your Granny, but good luck with the bar! And as far as your post goes, I hate it when lists like this name a bunch of books I've never heard of, not for any fault of the list-makers or the books, but because I feel out of the loop (which I don't like when I spend so much time stalking all things bookish). I also have a tendency to think that these kinds of award lists go for stuffy and pretentious, which makes me distrust them, but at the same time, I have nothing to base this on, just a quirk of my brain I guess. I'm definitely planning on at least looking up the books I haven't heard of. Great post! 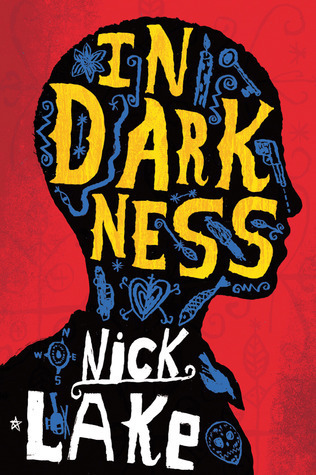 I read this book In Dark ness and really like the book But I am very surprised John Green did not win. Oh I wish Code Name Verity had won! I was surprised about TFIOS too - it's such an excellent novel. But I guess they wanted to feature lesser known novels, or something...I really wish Code Name Verity would have won!